Do you sleep with your phone or laptop next to you? Original article published 13th July 2018. A new study has found that one third of Australians suffer from what is termed ‘social jetlag’ – a condition that surfaces when a person’s natural body clock does not align with their daily routine. 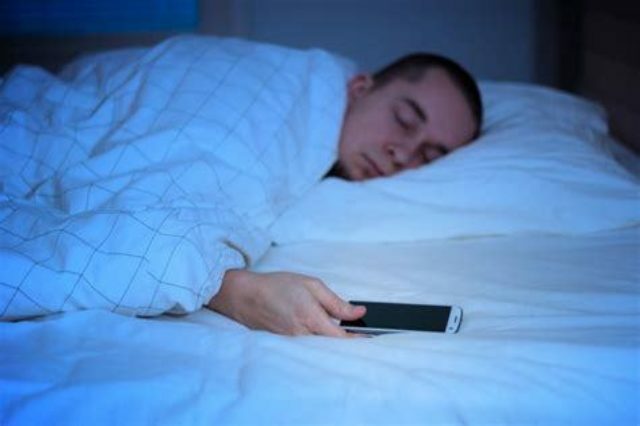 The research, published this month in international journal Sleep Medicine, shows 31 per cent of the 837 survey respondents said the time they sleep is more than an hour out of sync with their body clock on weekends compared with work nights. Those respondents were not shift workers and had completed Sleep Health Foundation Australia’s online survey. Lead researcher, Professor Robert Adams from the University of Adelaide and the Sleep Health Foundation, said the figure was significant. “That’s a large chunk of our population whose body clocks are out of alignment, a problem known to negatively impact health and wellbeing,” he said. “These findings serve to further illustrate the widespread problem of insufficient sleep in our country and indicate an urgent need for a national inquiry to relieve our sleep loss epidemic. Professor Adams said social jetlag was robbing many adult Australians of quality sleep because of a misalignment between an individual’s circadian rhythms and their environment due to social impositions like work or school. “For instance, a person who is naturally a night owl but must start work at 7am is at a higher risk of being socially jetlagged,” Professor Adams said. The Australian results are similar to those revealed in a large-scale Dutch study. Full-time workers were worst affected, with some routinely suffering more than two hours social jetlag on work days compared to non-work days. Socially jet lagged respondents were more likely to sleep too late, wake up feeling tired, be late for work, and also go to work when they felt they should have taken sick leave. “This suggests that people with social jetlag are either less able to recognise their sickness signs or they feel a degree of pressure to work despite being unwell or just plain tired,” Professor Adams said. “Either way, it’s time we considered the consequences of these employees driving, operating dangerous machinery and potentially spreading contagious illness in the workplace. Join our mailing list and be kept up-to-date with forthcoming events, survey results and news. Doctors’ Health SA gratefully acknowledges the financial and other supports from the Medical Board of Australia; and the Country SA PHN through the Australian Government’s PHN Program.